For new parents largely unfamiliar with the terrain of raising bilingual children, the prospect of embarking on this long journey can feel pretty daunting. Where do they begin? 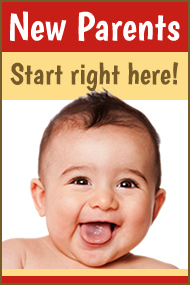 One good place to start would be Bringing up a Bilingual Child by Rita Rosenback, the blogger behind the warm, supportive site Multilingual Parenting. Her insightful, reader-friendly guide, which includes useful exercises and materials for thoughtful planning, can serve as a reliable road map for the new traveler. 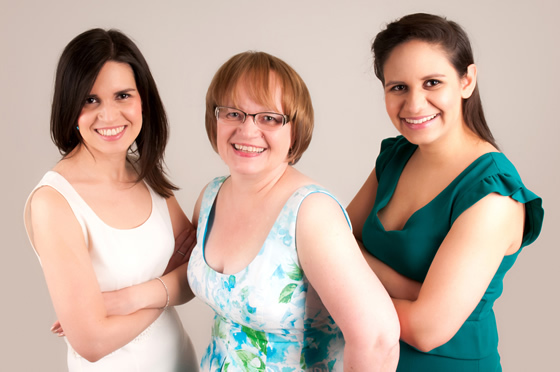 Rita, who was born into a bilingual family in Finland and later moved to England, is not only book-smart on the subject, she has successfully raised two multilingual children of her own. This key combination of professional knowledge and personal experience—along with the same passionate and positive outlook she conveys at her blog—has produced a book that offers clear, encouraging guidance on navigating the process of nurturing a bilingual child. 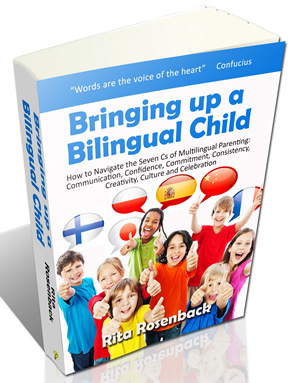 While Bringing up a Bilingual Child is intended as a basic primer—so there may not be much that is new for parents already well on their journey—for those just stepping into this unfamiliar territory, Rita Rosenback’s sensible, strategic guide will make a valuable companion for the road ahead. Of course, some parents might well reach their bilingual goal by giving only “an extra bit of effort and awareness,” but I don’t believe that’s the case for most, and especially when the goal for fluency is high. 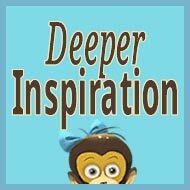 Again, I understand the importance of encouragement, but I fear that underplaying the challenge may lead parents to underestimate the amount of effort actually required, which can result in disappointment down the road when the child’s bilingual development doesn’t proceed as originally hoped. Thank you for taking time out from your very busy schedule and reading my book and writing your review on it. 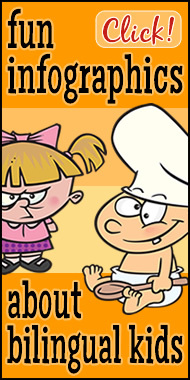 I am happy you liked it and can recommend it to your readers, especially to new parents. Although I do think that also parents of older bilingual children can find useful advice in it—I however understand that with your own extensive knowledge on the topic there would not have been that much new information for you in the book. Parents as well as the cultures and countries they come from are very different and it is vital that parents can find the type of information and advice which is suitable for them. This is one reason why I find it so important that there are several of us bloggers and authors writing on the topic and spreading the word about raising bilingual children. We all have our distinct ways of expressing ourselves, giving parents different insights and view points. In my book and my blog, I have chosen to first and foremost be encouraging and to support parents in their decision to bring up their children to become bilingual, without—in my opinion—forgetting the challenges that this decision brings. It is interesting that I have also had comments from parents who have said that I make it sound too difficult and that they never experienced any of the difficulties I have mentioned. This just shows how different the circumstances can be. 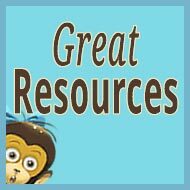 Thank you, Adam, for the great work you are doing on your blog and for including my book in your recommended resources. Wishing you, your family and readers all the best! Rita kindly agreed to share her thoughts, by email, on the origins of her book and her personal experience as a parent of two multilingual children. 1. Could you share a bit of your background? I was born to a bilingual family in a Swedish-speaking region of Finland. I spoke Finnish with my mother and Swedish with my father and grandmother. At university I studied languages, with German as my main subject. I have worked as a language teacher at university and in adult learning, as well as an interpreter, translator and editor. 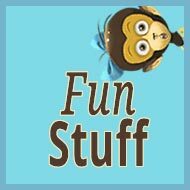 Before I decided to go into full-time blogging and writing, I managed multinational teams in IT and retail. I have two adult daughters, Minna and Daniela, who grew up learning their family languages, including Punjabi from their father. 2. Why did you decide to write Bringing up a Bilingual Child ? I am passionate about children and languages and this topic combines them beautifully. After moving to England in 1998, I noticed that in several immigrant families the children grew up monolingual or at most with a receptive knowledge of the family’s original language, i.e. they understood it, but did not speak it. On the other hand, my daughters had learned Punjabi although their only exposure came from their father. I wanted to understand the process how children learn a language in a multilingual family, so I read all the books I could find on bilingual children and the theories behind raising bilingual children. There are excellent books on the topic, many of them written by academics and often aimed at a readership used to reading about theories and research. I asked parents what kind of advice they would like to have and the answer was something that was easy to understand and encouraging, so this became my task: to write an easy-to-read guide for parents which would make the task of bringing up a bilingual child a bit easier. 3. 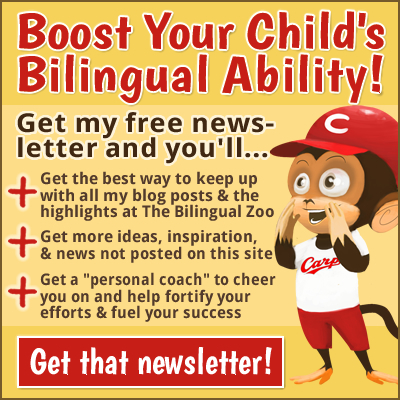 What would be your best advice for parents who hope to nurture good bilingual ability in their children? Every family is different and it very much depends on the circumstances and on how much exposure a child gets to each language. The minority language will always be the one which will be at risk of being lost, so families should try to arrange as much exposure as possible to it—mainly through interaction with speakers of the language but also through quality children’s programs and of course books. I can’t emphasize enough how important it is to read to and with your children, even after they learn to read themselves. 4. As a parent, what were the strategies and routines that had the greatest impact on your own bilingual journey? Consistency is probably the big one, as we had so many languages in the family—after moving to England we had Swedish, Punjabi, Finnish and English! We were always consistent with the languages we spoke, it became a routine that we didn’t even have to think about. We also made sure that our daughters were familiar with all the cultures that are part of their lives. 5. What difficulties or frustrations did you experience during that time? How did you address those challenges? My youngest daughter Daniela was a late speaker and we were advised by the language therapist to stick to only one language in the family. This was a difficult time, as I did not know then what I know now, that dropping a language is not the solution, on the contrary. In any case, we did not follow the therapist’s advice, it would have been far too big a change in our family’s language routine. I did however decide to wait with teaching Daniela Finnish, so she never had a chance to learn it before we moved. Today she is fluent English, Swedish and Punjabi and also learnt German at school and during visits to Germany. She has taken a Finnish course at university and can understand everyday Finnish. Another challenge was the Punjabi script—there just wasn’t enough time when the girls were small for their father to teach them to read and write. In Finland there were also no classes available and this was the time before the Internet, so no help from there either. However, when we moved to England, Daniela went to a Sunday school to learn to read and write Punjabi and Minna did a GCSE in it at secondary school. 6. 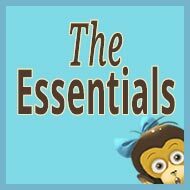 How would you describe your blog, “Multilingual Parenting”? 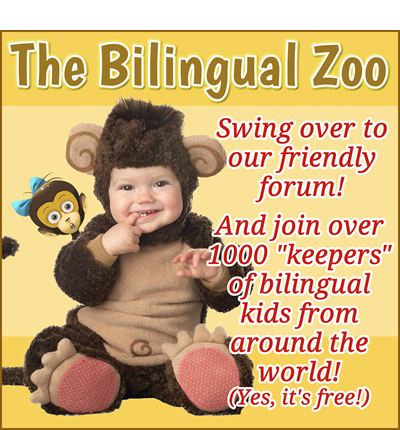 How can it help parents seeking to raise bilingual children? 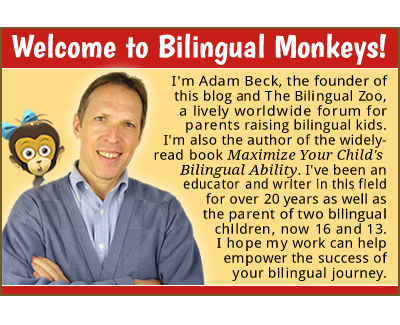 With my website and blog I want to support and give advice to parents bringing up bilingual children. 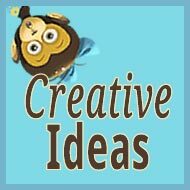 The blog posts are about topics that parents have raised, what I have experienced myself and about being bilingual in general. Once a week, I and three other family language coaches also answer questions about bringing up bilingual children. The Special Edition of my book is available via the website and every purchase also comes with a free one-year membership to the site. 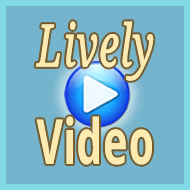 Members will have access to additional materials and online events. 7. What does the future hold for your work in this field? 8. What last piece of advice would you offer to parents raising bilingual children? Don’t give up and when it feels difficult, reach out for help—keep on talking and read a lot with your kids. Good luck! What’s the Best Book About Raising Bilingual Children? How about you? 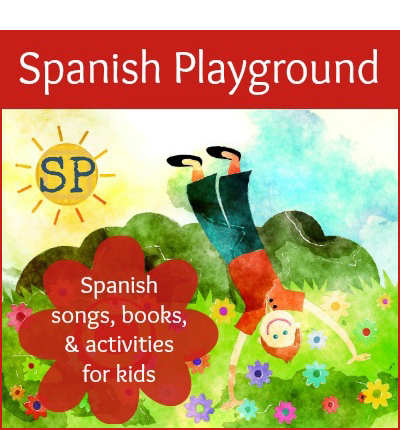 Have you read Bringing up a Bilingual Child ? What are your impressions?